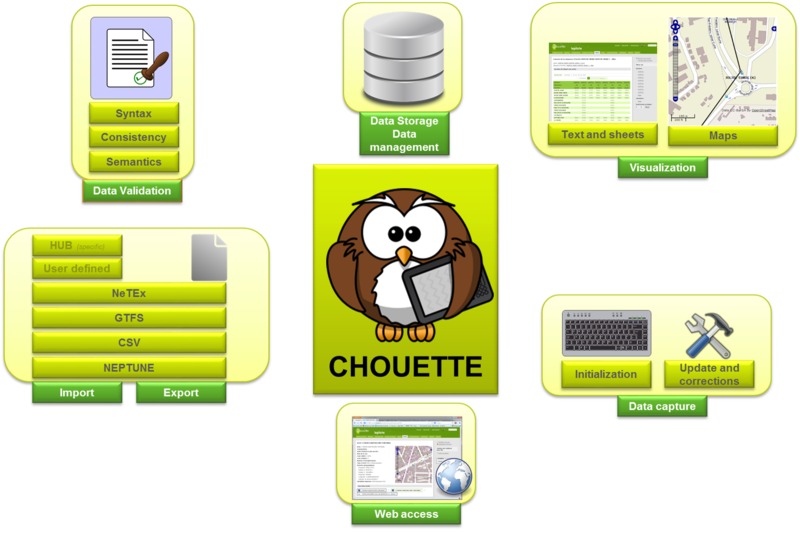 CHOUETTE is an open source software financed by the French Ministry of Ecology, Sustainable Development, Transport and Housing (MEDDTL). Its main purpose is to capture and exchange data, describing the theoretical timetables of public transport networks. Main purpouse of CHOUETTE software is to capture and exchange public transport data, addressing Transport management Authorities, public transport Operators and their contractors, in order to facilitate the implementation of multimodal traveller information systems, and is also dedicated to engineering consulting and industrial firms, as well as researchers, so as they can integrate it in their own applications. 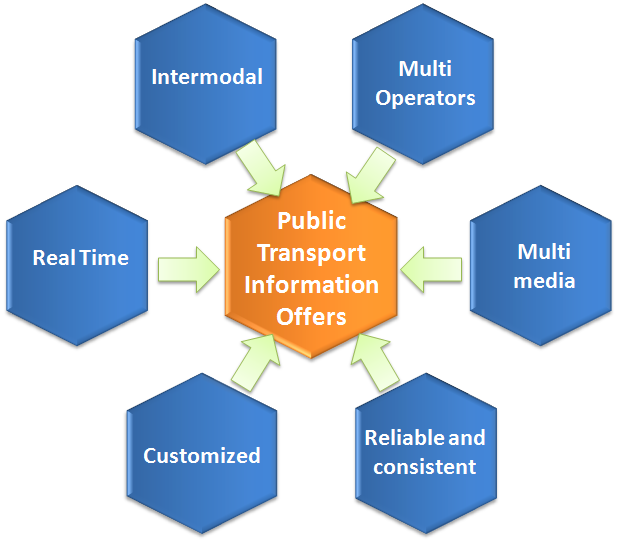 to visualise, import/export/convert, manage and update data related to public transport offer. The latter function has been enhanced to support import/export from/to a candidate NeTEx profile for reference PT offer (since version 2.0.3), and is currently updated for the latest NeTEx version, compliant with the French and Nowegian profiles. as a re-usable Java library. MobilitX is a software solution developed by DIGINEXT (FR) providing a Real Time Public Transport Information HUB relying on state of the Art interfaces including NETEX and SIRI. to disseminate a consistent transport information for authorized customers. Dissemination of information based on standards. Acquisition and Distribution functions implement NETEX interfaces for network description, transport offer, Vehicle and driver scheduling. The MobilitX solution could be extended with dedicated tools including Management of Network events or disruption and Display Management (including onboard equipements).